"Finally written proof from a fellow cross-border shopper that confirms what I have known for years, that I am a member of an elite group of savvy shoppers that recognize a great deal when I see one!" R.G. Thornhill ON. "I never really put much thought into cross-border shopping but now that I have been reading the 2SIDESOF49 Blog for the past two years I look at every planned purchase. 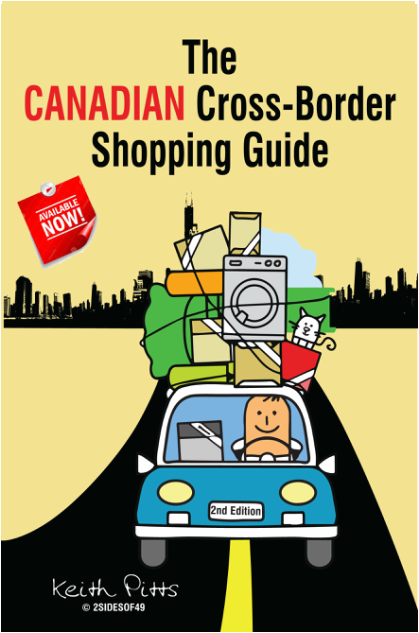 This book is a great resource for new and experienced cross-border shoppers" W.L. Alliston ON. "Having homes in both the US and Canada means that I comparison shop all the time. From necessities like basic groceries and gas to luxury items, the disparity between prices north and south of the border is confounding. 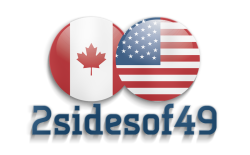 2SIDESOF49 has shone a bright light on the issue and The Canadian Cross-Border Shopping Guide is a great resource for smarter shopping." N.T. Pickering ON.